Sirens wail! Firemen, emergency doctor and police race to the rescue. Which vehicles do they use? 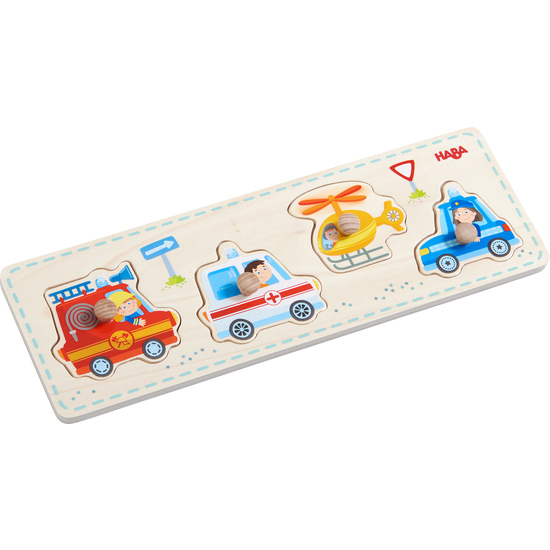 With this premium clutching puzzle, even the smallest child has loads of fun learning the varying rescue vehicles. When puzzling the pieces into the puzzle frame, large, easy to grasp knobs give satisfying support.